WILLEMSTAD - Curaçao Chronicle recently had an interview with Demetrius Canton, Director of Market Management for the Caribbean – Expedia, group and Brett Minzner, Area Manager for Dutch Caribbean and Puerto Rico – Expedia, group on their plans for Curaçao. What are your plans for Curaçao in 2017? 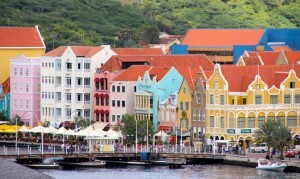 Demetrius Canton: Curacao is a popular destination among Expedia group’s consumers, particularly in the USA, Netherlands, Germany, and Brazil. Throughout 2017, we hope to continue to grow those markets while striving to strengthen our relationships with our local hotel partners and grow our portfolio in the island. To effectively execute strategies in the Caribbean, we rely on our local market managers evaluating the needs of our hotel partners. Expedia brings unmatched demand for hotel partners delivering high value exposure from the more than 200 travel booking sites in more than 35 different languages in addition to many mobile sites and apps from brands like Hotels.com®, Travelocity®, Orbitz®, and more. Expedia’s technology and innovation captures demand for hotel partners in Curacao using site optimization, and other tools and platforms. Have you seen any negative effects for the island due the InselAir problem? Brett Minzner: While we can’t comment on that at this time, for Curacao, our Lodging Partner Services Team’s primary focus is our commitment to the local hotel partners. What's Curacao’s biggest challenge in the tourism industry? What do the people want and we are not giving them? Brett Minzner: While the Caribbean offers a variety of destinations which often compete for attention, Curacao offers a singular experience like no other. Along with its rich European culture, the island offers beautiful scenic views and many options for adventure travelers. Since competition is high, we recommend local hoteliers in Curacao take advantage of Expedia group’s marketing and technology tools to increase demand and ensure each property is targeting the ideal audience. Using tools like Media Solutions, a team of digital media consultants with the goal of helping properties reach their target audience in more efficient ways, hotel partners can increase their visibility to potential consumers. Local partners can also utilize promotions on Expedia and the expertise of the local market management team to strategize how to best sell their inventory. EPC Conversations, which allows hoteliers to communicate easily with their customers can increase their chances of getting return business, will also help grow tourism to the island. What are the positive things the island has to offer? Brett Minzner: Curacao’s colonial architecture, nature, numerous history museums, and scuba diving scene make the island a top Caribbean destination for international travelers. The island’s tourism infrastructure is strong; Expedia continues to form new partnerships on the island and is committed to driving tourism growth. How is Expedia helping with the promotion of the island? Are we an important part of your promotions? Is Curacao really a new market for Expedia? Brett Minzner: Expedia group launched in 1996, and the company has been working with Curacao’s hotel community since 2005. Travel demand to the Caribbean region as a whole has showcased strong growth on Expedia group sites and Curacao has followed that trend with travel demand increases of nearly 35 percent for all of 2016 when compared to 2015. Internationally, we’ve seen significant travel demand during 2016 from the Netherlands to Curacao which has seen a significant increase of over 75 percent compared to 2015. The iDeal payment system, the most popular form paying online in The Netherlands, was fully launched on Expedia.nl in December 2016. This will make package bookings easier in The Netherlands and hope to continue to grow in this important market.